Did I really like Jeremy Scott's first collection for Moschino? Not really... I'm not big on shock value without real wearability. However, I do really like the idea of having a ridicules cell phone case you paid too much for! 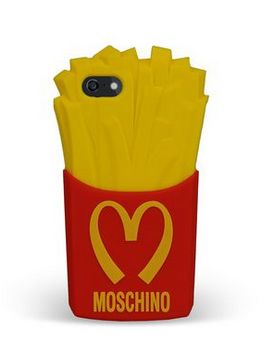 Buy this at Moschino for $85.